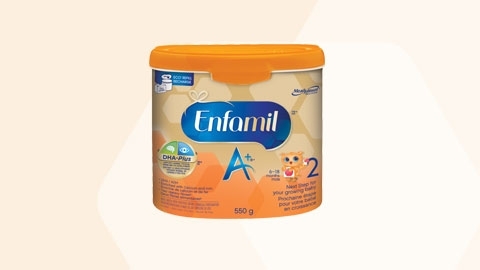 Read about giving your toddler a boost: 12 to 18 months. During the first six months of toddlerhood, your child is growing more active by the hour. How can you encourage his development? 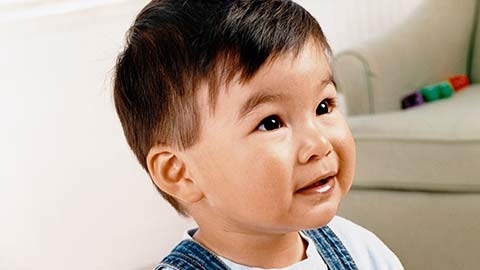 In addition to making sure he gets the nutrients he needs each day, these activities will help your toddler stay apace in a wide range of areas, including cognitive, motor, communication, and social. Practice simple decision making. 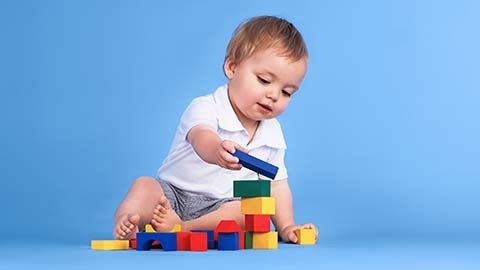 For instance, you can offer your toddler two toys to choose from or ask him to pick which of two blocks of different shapes will fit into a particular space. Encourage dumping and sorting. Provide several baskets, boxes, or buckets full of like objects—for instance, one with blocks, one with stuffed animals, and a third with toy cars. Your toddler will enjoy emptying the items, sorting them, and returning them to their original containers. Play pretend. Using toy versions of real-life objects, talk to one another on play telephones, cook in a toy kitchen, or build a house of blocks using a plastic hammer. Keep electronics off. Firsthand interactions with real people (seeing their faces, hearing their voices, and observing their gestures), and with objects that can be touched, mouthed, and moved, will enhance your child’s cognitive skills far more than playing computer games. Allow supervised stair climbing. Most young toddlers will use a combination of crawling and walking to make their way up a staircase and will slide down on their bellies, feet first. As long as you’re on hand to protect against falls, your toddler will gain experience and confidence from being allowed to navigate on his own. Let him cruise. If your child isn’t yet walking on his own, push chairs and other sturdy objects close together, so he can navigate around the room by cruising from one piece to the next. Or try moving a few steps away from him when he’s standing and offer a toy to encourage him to try toddling toward you. Remain calm. Try not to show fear, alarm, or excessive fussing when your fledgling walker takes the inevitable fall. If you respond with matter-of-fact reassurance, he’s more likely to think it’s no big deal, pick himself up, and try again. Turn him into a page-turner. Let your toddler turn the pages of a book when you read. It’s great practice for his fine motor skills. Board books are the best way to start, but with practice he’ll become able to turn paper pages, too. Talk, talk, talk! It’s one of the best things you can do to boost your child’s communications skills and intelligence. Researchers have consistently found a strong correlation between the sheer number of words a child hears from parents and other caregivers by age 3 and both IQ and performance in school. Respond to your toddler’s gestures. When he raises his arms because he wants to be lifted, points to an object, or shakes his head no, for example, your response affirms that his gestures have meaning, and it encourages his communication efforts. Don’t worry that this will get in the way of his learning to use words; think of his gestures as stepping stones to verbal communication—and for now they have the added benefit of helping to reduce frustration. Use gestures of your own along with your words. These actions will broaden your child’s body language vocabulary and help him understand the meaning of what you’re saying. For example, when you say, “Come here,” beckon with your hand. When you say, “Sit here,” pat the seat next to you. When you say, “Give me the cup,” hold your hand open. Reflect together. Stand in front of a full-length mirror with your toddler and enjoy his budding understanding that the reflection he’s seeing is his own. Pat his head or clap hands with him, so he can both feel and see what’s going on. Say yes to no. Don’t be surprised if your toddler begins to reject decisions you’ve gotten used to making for him, whether in regards to what he’ll wear, eat, or play with. Asserting himself by saying no is a healthy sign of his growing sense of self, which you can support by letting him have his way when possible and avoiding unnecessary battles of the will. Don’t force sharing. Your toddler can’t yet grasp the concept of sharing, so if he gets into a conflict with a playmate over a toy, it’s better to draw his attention to another appealing toy or activity than to insist that he share.